The Hopi community of Awat’ovi existed peacefully on Arizona’s Antelope Mesa for generations until one bleak morning in the fall of 1700—raiders from nearby Hopi villages descended on Awat’ovi, slaughtering their neighboring men, women, and children. While little of the pueblo itself remains, five centuries of history lie beneath the low rises of sandstone masonry. 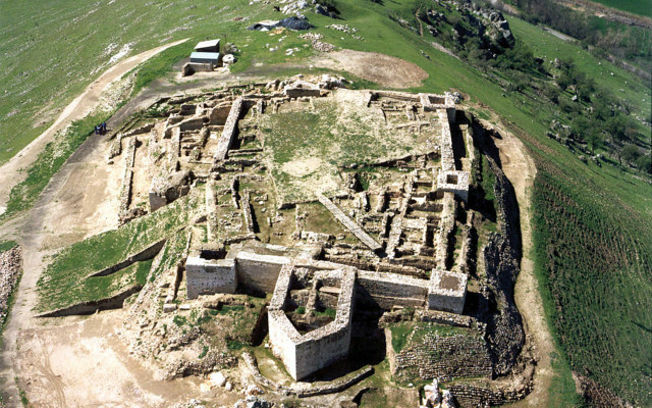 Why did kinsmen target it for destruction? 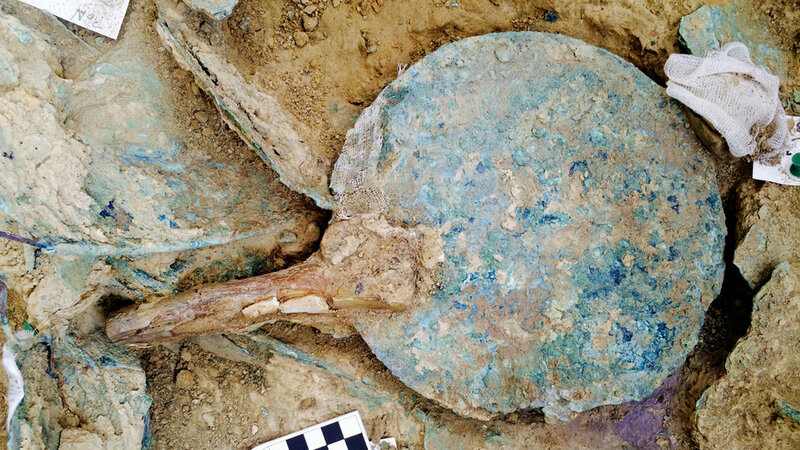 Drawing on oral traditions, archival accounts, and extensive archaeological research, James F. Brooks unravels the story, uncovering layer after layer of significance. Mesa of Sorrows is a probing exploration of how societies confront painful histories, and why communal violence still plagues us today. There will be a no-host dinner at Goudy Commons before the lecture. 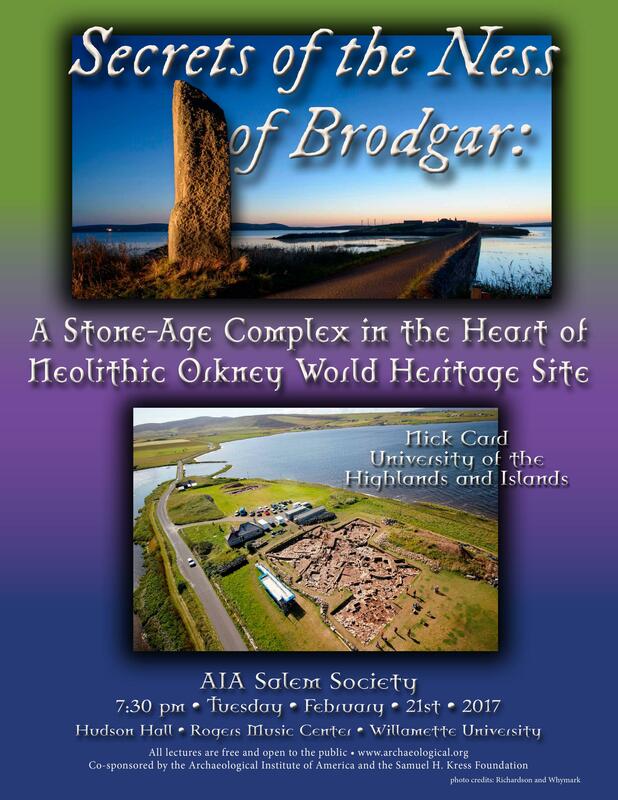 All AIA members are invited to join us (dinner costs $8.60). Please join us at 6:00pm in Goudy’s lobby. While on a study tour in Greece and Turkey this summer, I saw many beautiful artifacts depicting Roman gladiators. While all of these artifacts were fascinating, the most interesting ones that I found were two gladiator grave stelae in the Istanbul Archeological Museum that depicted left-handed gladiators. 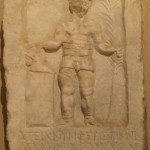 With the first stele (labeled “A”), it is easy to tell that the gladiator (a secutor) was left-handed since he is depicted holding his sword in his left hand. It was not as easy to determine the handedness of the gladiator depicted on the other stele. The second stele (labeled “B”) depicts a gladiator (a provocator) resting his right hand on his stacked helmet and shield. The clue that reveals that this gladiator was left-handed, however, is that he is wearing his greave (leg guard) on his right leg. The heavily armed gladiator types, like the one depicted in this stele, wore a greave on the leg that corresponded with their shield arm. A left-handed gladiator would have carried his shield with his right arm and therefore would have also worn his greave on his right leg. Using this information, I was able to determine that the gladiator depicted in the second stele was a lefty. I found these left-handed gladiators so fascinating partly because of my experience fencing. I am right-handed, and I distinctly remember that fencing with left-handed people was always very difficult. Although the Roman method of sword fighting was very different from modern fencing, I can’t help but think that differences in handedness between gladiators would have presented the same sort of challenges. The almost universal use of shields by most gladiator types would probably compounded these issues. 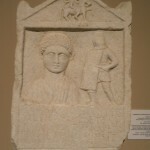 Grave stele of the provocator(?) Nympheros. Roman Period, 2nd-3rd c. 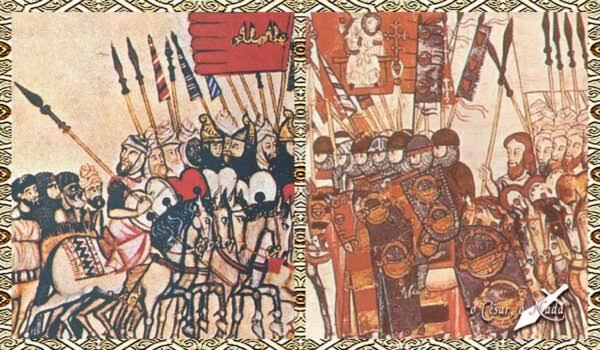 C.E., Western Anatolia. Istanbul Archeological Museum. Grave stele of Nicephoros (also called Narcissos) the secutor. Roman Period, 2nd-3rd c. C.E., Thessalonica. Istanbul Archeological Museum.